Question: I watch women such as gold diggers use morally wrong tactics to get good men and my men. They have stolen good men I was dating away by talking bad about me and making themselves look like angels. They are so good at this skill I can’t fight them. This happens to me over and over. 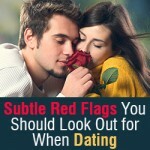 How can I keep a good guy and not have gold diggers steal them away time and time again? Answer: You’re giving your power away to other women. You can never control what anyone else does so blaming someone else for things that happen to you leaves you helpless. Stop putting your attention on the other women and put your attention on you. 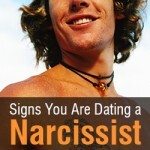 It sounds like it may be your own insecurity that is actually causing you to lose your men. Men fall in love with women who loves themselves. Perhaps the women that you perceive as gold diggers simply have higher self-esteem, and that is what makes them attractive. But you can be anything that you decide you want to be. Decide you are a strong, empowered woman who can get and keep any man you want! Affirmations can really help. Write a list of all the wonderful qualities you possess, and read it often. And start paying attention to your internal dialogue. Whatever you’re thinking or feeling about yourself on the inside will be the energy you project on the outside. You are what you think you are. And therefore what everyone else thinks you are too. So if you’re thinking “He’d never be interested in me,” that’s why he’s not. And if you’re thinking “I can’t keep a man,” that’s why you can’t. 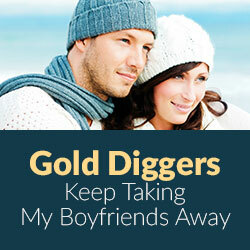 Accordingly, if you’re thinking, “Gold-diggers always steal my man,” then that’s why they do. If you want a different result you need to change your thinking. Your thoughts are what cause you to act, or re-act. No one can steal your man without your permission. The next time you get a great guy, think empowered. Confidently show him what a wonderful woman you are. 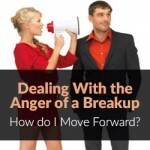 Hold healthy boundaries and communicate lovingly (without jealousy, anger or insecurity). And don’t give anyone else a second thought. It’s all about you! You’ll have the power to keep a man, when you truly believe that you do. My eBook It’s All About You: How to Use Your Power to Get (and Keep) a Wonderful Man is all about how to keep a good man.